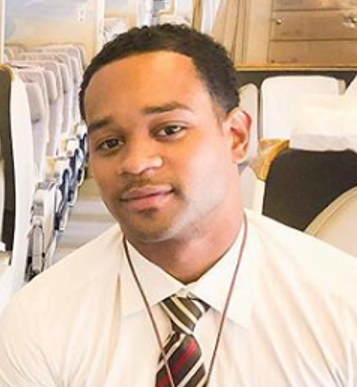 Do you dream of being Emirates cabin crew? It’s an amazing life isn’t it? Let me introduce you to Cara . Just like you, Cara dreamed of being Emirates cabin crew. She longed to walk through the airport, head held high, knowing others were looking on and wishing they could be her. She had many, many destinations she dreamed of visiting- New York, Sydney, Paris, Tokyo, Hong Kong- she could go on and on. And imagine getting the opportunity to relax on the sun-kissed beaches of the Maldives or the Seychelles. To say nothing of living in Dubai- one of the most cosmopolitan cities in the world! Cara followed many current Emirates cabin crew on Instagram and she knew this was the job for her. But, how could she get this job? She turned up at the open day expecting to find a few dozen people, but there were hundreds there! This was going to much harder than she had anticipated! She joined a queue to hand in her CV and waited and waited (and waited and waited!). After 3 hours, Cara was nearing the front of the queue. She was feeling nervous now, but she knew her CV was good. She had written it in her last year of college (3 years ago now!) and her tutor had told it was good, so she wasn’t worried about handing it over. Cara was now at the front of the queue. She stepped up to the desk and with a big smile, handed over her CV. The recruiter started to take a few notes on her CV and asked her why she wanted to be cabin crew with Emirates. Oh no, she hadn’t expected questions! She quickly mumbled something about them being a brilliant airline. The woman thanked her and asked her to take a seat. They would post up results within the next hour, so Cara would know if she had made it to the assessment day or not. The results were posted up and Cara approached the notice-board with trepidation. Had Cara been invited to an assessment day? She looked in vain for her name, but it wasn’t there. She had failed to make it to the assessment day. So, that was it- her open day was over and with a heavy heart, Cara travelled back to her home town, determined to do better next time. So, what went wrong for Cara? So many others want to be one too! Competition to be cabin crew with Emirates is fierce! In fact, 97% of applicants will be unsuccessful! For every hundred applicants, 3 will be successful. Woah- that is terrible odds isn’t it? When Emirates re-opened for recruitment, they were getting 30,000 online applications a month! Things have calmed down a bit since then, but they still regularly have 15,000 people attending their open days each month. So, you need to be able to stand-out from the crowd. Now, you might think this is impossible. After all, the odds are hardly in your favour. It’s NOT impossible and we know what will make a candidate successful. So, what could Cara have done differently? ✓ First up, Cara should have spent considerable time learning exactly what Emirates are looking for in their cabin crew. And, believe it or not, this information is freely available on the web! ✓ Once Cara knew what Emirates were looking for, Cara should have matched her own skills to those Emirates want. She could then use these skills to re-write her CV, focussing solely on the skills Emirates want and take out all the other stuff that is of no interest to them. ✓ Cara should have prepared answers to the most commonly asked questions at the open day using the SAR technique. This would have made her much more confident on her open day. ✓ Cara should have learned everything there was to know about Emirates. So, when asked about why she wanted to work with Emirates she could have mentioned their in-flight service, the awards they have won or their route network. Anything would have been better than her mumbling about being a “brilliant” airline! So, Cara knew she had to do better next time but what should she do? Like many others in the same situation, Cara turned to Google for help! She joined a few Facebook groups but quickly realised they were full of people like herself searching for advice. The problem was, even though others were trying to be helpful, they simply didn’t know enough to be able to help. Just the other day she’d read a post from someone asking for some advice on their Emirates open day. They were advised to talk to the recruiter as if they were talking to their lover! Feeling slightly creeped out, Cara headed back to Google, this time looking for a cabin crew recruitment expert. 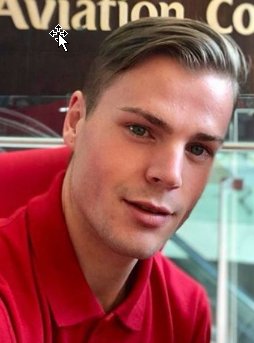 Did Cara find a cabin crew recruitment expert? She absolutely did! She came across Pauline Park and was impressed at her credentials. As well as having worked in the aviation industry, Pauline had a master’s degree in Tourism Studies and was a fully-qualified teacher. She has been teaching aviation and recruitment for over 20 years. 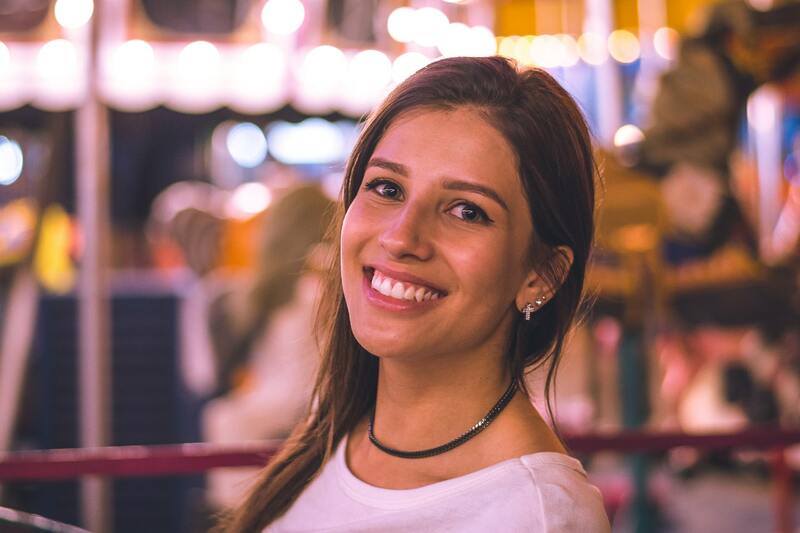 The more Pauline learned about travel recruitment, the more interested she became, and this quickly became her passion! 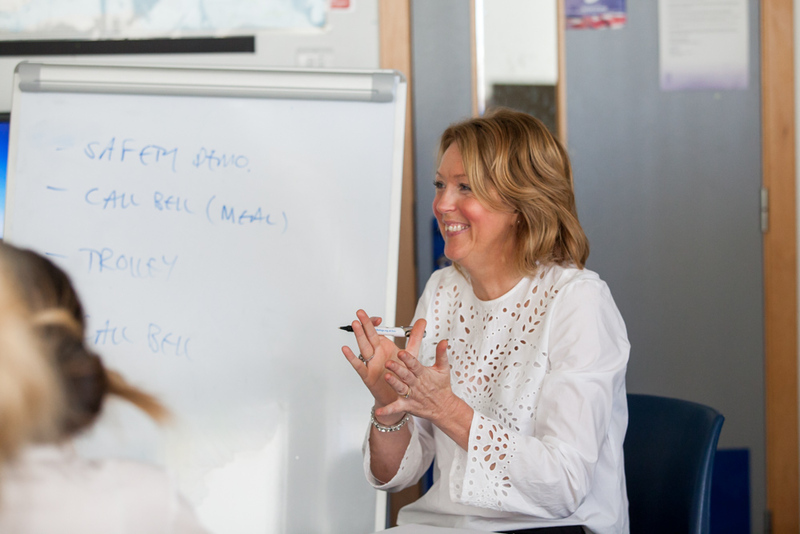 In fact, over the years she has helped 1000s of her students gain employment in the travel industry. As the online world (and her reputation!) grew she was constantly being asked to help people with cabin crew recruitment. And, no wonder as this stuff is hard! So, she set out to apply for every cabin crew job she sees (and she still does!). Pauline would be proud to tell you that she has a 100% success rate in being invited to assessment days, but then she should be good at this stuff- it's her job! 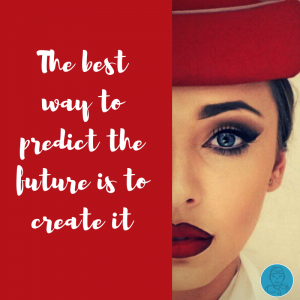 So, to help those who would love to be cabin crew, she put together a course which covered absolutely EVERYTHING she knows about Emirates cabin crew recruitment- and it's a LOT! Yep, Pauline’s course is called How to Become Emirates cabin crew and it does exactly what it says in the title- it will teach you how to become Emirates cabin crew! -An Emirates keywords and phrases guide so you can sprinkle them liberally through your application and really make yourself stand out from the crowd. -A guide to the NEW Emirates Assessment Day- and we've been, so we can tell you EXACTLY what goes on! -A guide to Emirates English tests during the Assessment Day, so you can get a heads-up on your competitors! -A Fact-File on Emirates- including loads of videos and photos- so you can learn EVERYTHING there is to know about your dream airline. 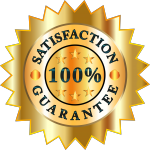 We've done all the hard work, so you don't have to! -A guide to Final Interview questions. You can use your SAR technique to prepare some really amazing answers! -An Insider's Guide to life as Emirates cabin crew, so you know what to expect after you've received the famous golden call! -A guide to Emirate's final interview via Skype, because, yes, they are holding some final interviews via Skype and Facetime! -A guide to the HireVue video final interview so you can see what's required during this NEW section of the Emirates application process AND we take you behind the scenes of the video interview to help you understand how Emirates assess your video final interview. 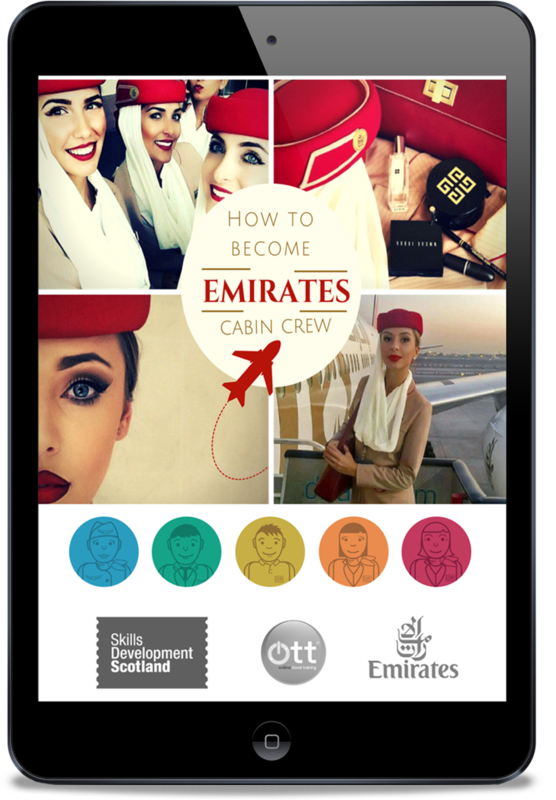 How To Become Emirates Cabin Crew includes over 250 pages of content, so you are sure to find the answer to any Emirates question you may have! I didn't know where to start with my CV so with the CV guide included, had it all revamped to suit cabin crew life! From there I also got opinions on my photos and how to make them better. From there, I attended an Open Day whilst in Melbourne (I was going to wait until back home in the UK, but thought, just go for it!) and was fortunate enough to get through to the Assessment Day the following day. Without the help of How to Become Emirates cabin crew and Pauline herself, I don't think I'd have made it so far. There is so much advice and guidance given that I think if you truly want to work for Emirates, then do sign up. The Assessment Day can seem very nerve wrecking- as expected! But with the help of How to Become Emirates cabin crew, I had a great idea of what would be coming up. With this I was able to prepare for the day ahead. Just let us know within 24 hours of purchase that How to Become Emirates Cabin Crew is not for you and we will send you a prompt refund. No questions asked. “How to Become Emirates cabin crew was an extremely vital resource to purchase as it was extremely informative and covered absolutely everything from A to Z! It is thorough with all the information you need to know for the open day, assessment day, final interview and even assists with your preparations before your date of joining! How to Become Emirates cabin crew assisted me with how to prepare my CV and what to include and not include! When applying, your CV needs to be exactly what Emirates are looking for! At the open day you have a minute or two to sell yourself while the recruiter looks over your CV. How to Become Emirates cabin crew explains exactly how to write the perfect CV that the recruiters are looking for. I believe that if you are confident with your CV, photos and overall appearance for the open day, you will have the confidence you need to pass the rest of the recruitment process and I recommend How to Become Emirates cabin crew to ALL aspiring cabin crew who dream of work for Emirates, as it assists you in gaining that vital confidence you need! If it were not for all the knowledge I gained from How to Become Emirates cabin crew perhaps I would have not known what to expect during the recruitment process and would not have had the confidence one needs to land the job! For me, the problem wasn’t the open day- I could get through that. My big problem was the assessment day and, in particular, these group activities. The one I attended, we were supposed to sell an apple with a partner. I knew I wasn’t supposed to show off, so I made sure I was polite and asked my partner a lot of questions. But I was still rejected. What was I doing wrong? After reading the assessment day guide in How to Become Emirates cabin crew, I realised EXACTLY what the recruiters were looking for, so I made sure to do better at my next attempt. And it obviously worked as I here I am out in Dubai, living my dream life. Thanks Pauline for creating How to Become Emirates cabin crew. I’d still be stuck in my boring old office job if I hadn’t come across your course! 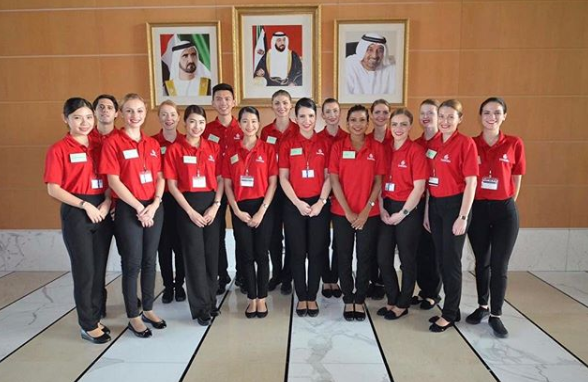 Still not sure that How to Become Emirates cabin crew is for you? We get it! After all, you’ve never met us before and here we are asking for your money and our course could be rubbish! But we think it offers incredible value for money. 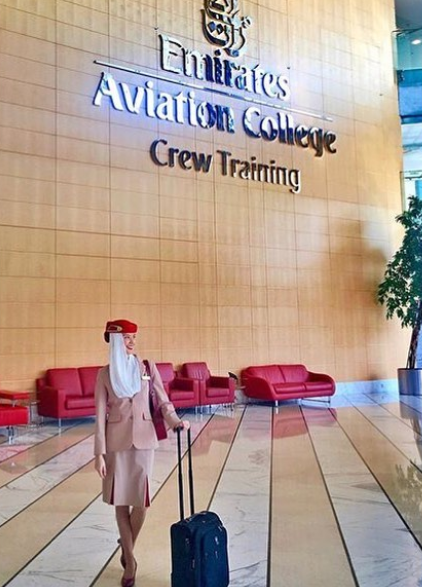 It never fails to amaze us, some of the crazy things people spend their money on to become Emirates cabin crew. In fact, a girl called Luisa contacted Pauline for some help a few months ago. 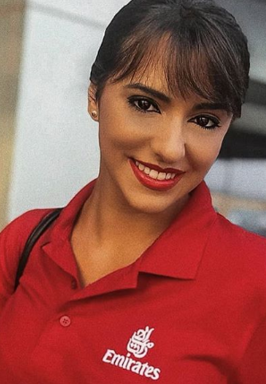 She was desperate to become cabin crew with Emirates and flew all the way from Buenos Aires in Argentina, to Madrid in Spain (yes, you did read that right!) to attend an open day. What else do people waste money on when applying to Emirates? Shoes! A day doesn’t go past when someone posts in the Departure Lounge asking what height of shoes you should wear or how pointy the toes should be! -Lipstick! Oh my goodness, how many emails do we receive here at Mondrago, asking what colour lipstick they should be wearing on their open day? -Professional photos. Wow, these cost a lot of money and you don’t need to get them done professionally. You can simply stand in front of a plain wall and save yourself loads of cash! -Travelling to and from the open day. Most people travel (often great distances) to get to an open day and this doesn’t come cheap. In fact, we did a survey a while back in the Departure Lounge, our free facebook group, and asked people how much they spent preparing for and attending an Emirates open day. The average amount spent was a staggering $300! And, of the 100 people surveyed, only 9 had made it to an assessment day! So, that’s a lot of wasted cash! What would you be better spending your money on? Well, at the risk of sounding obvious, we are going to say our How to Become Emirates cabin crew course. It’s only $49 and you get a lot of bang for your buck! Why do we think it’s well worth the money? ♥ Pauline has been teaching recruitment for over 20 years, so really does know her stuff. 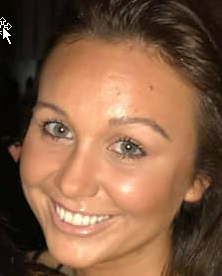 She has been invited to an assessment day for EVERY SINGLE cabin crew job she has ever applied for and Emirates is no exception to this. ♥ Pauline has gone through the entire Emirates’ recruitment process successfully. So, she knows what the recruiters are looking for and she’s willing to share it with you. ♥ The most common reason people are rejected from the Open Day is their poor CV. 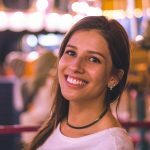 How to Become Emirates cabin crew includes an extensive CV Guide, including the ACTUAL CV Pauline used to get an invite to an assessment day. Yep, you can get your hands on her actual CV and use it to adapt your own- how good is that! ♥ In addition, our course includes all the relevant Emirates keywords and phrases. 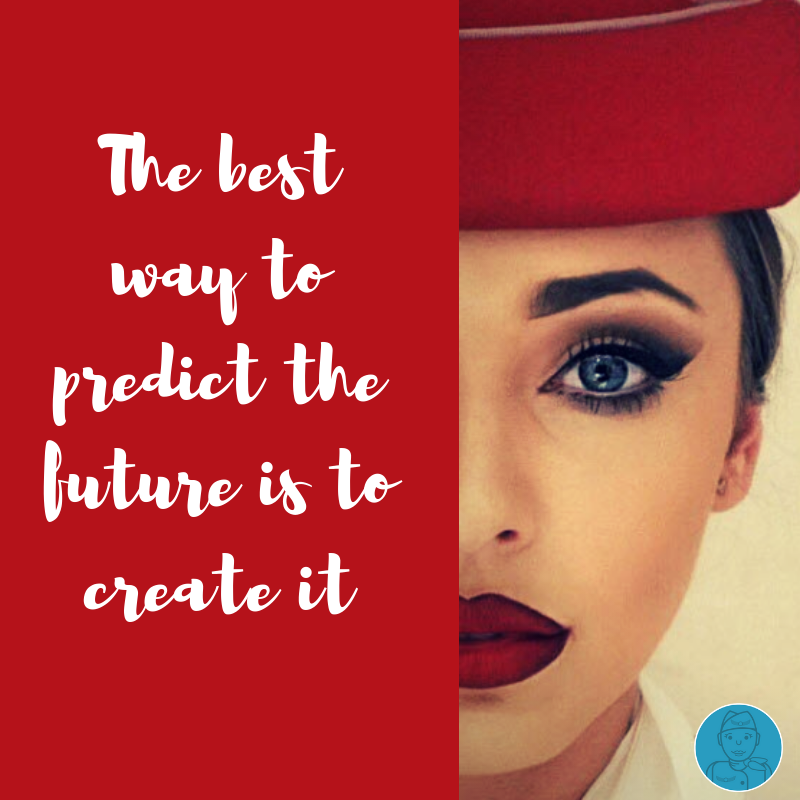 You need to SHOW Emirates that you are their perfect candidate and by matching their requirements to your own skills and experience, you can’t help but stand out from the crowd. ♥ One thing Emirates recruiters lament is that the lack of knowledge candidates have about the airline. Not you! By using our 48- page Fact-File (which also includes loads of photos and videos) you’ll know everything you need to “wow” them at the open day and beyond. ♥ Once you get an invite to an assessment day, you may think you can relax as all the hard work is behind you! We’re afraid not! You’ve still got a LONG way to go, so why not use our Assessment Day guide help you prepare for the big day? Remember, getting a job as Emirates cabin crew is incredibly difficult. 97% of all of those applying will be unsuccessful. It’s a really tough process and the more prepared you are, the better. 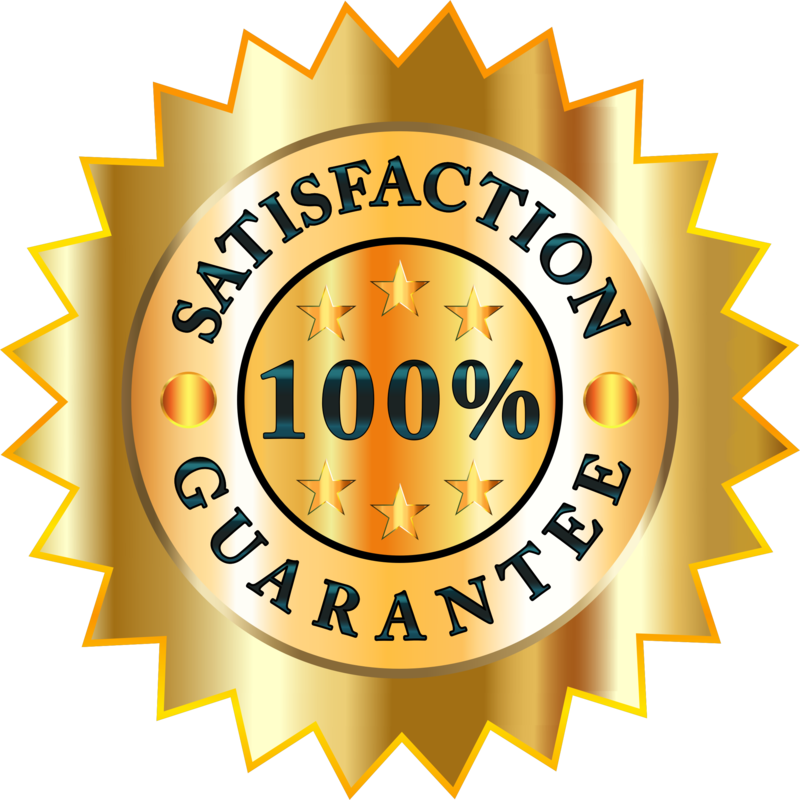 We’ve done all the hard work for you, so why not make an investment in your future? We GUARANTEE it will be a whole lot more successful than a new red lipstick! So, come on, what are you waiting for? Don’t you want to be in the 3% of applicants who are successful? And you KNOW How to Become Emirates cabin crew is the way to do it! Why not buy How to Become Emirates cabin crew and you can join Cara out in Dubai?